Hysan and The Absolutely Fabulous Theatre Connection have jointly presented the Absolutely Fabulous Children’s Theatre in the past year, which was very well-received by kids and parents. 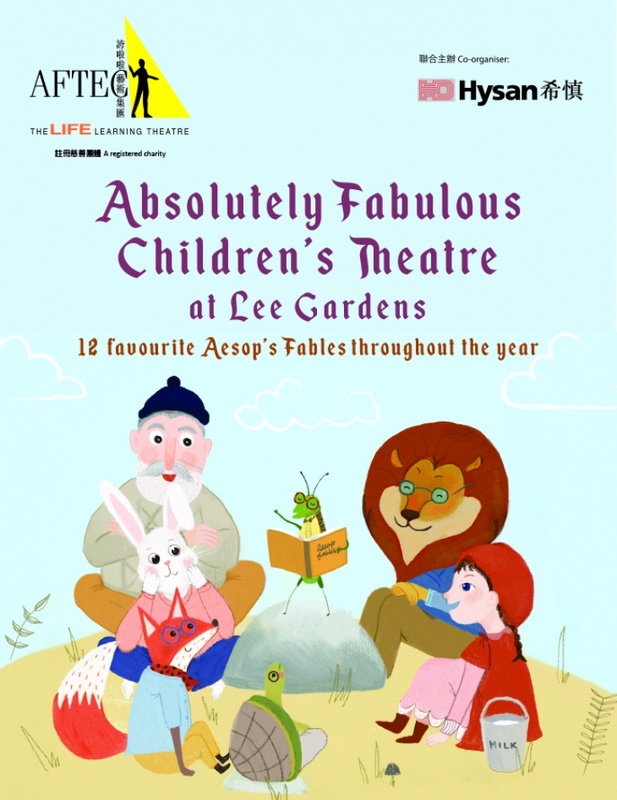 In the coming 12 months, we will continue to present your favourite Aesop’s Fables at Lee Gardens each month. We hope the humorous presentation will entertain and stimulate children’s critical and intellectual thinking ability at the same time. This month, we will bring you “The Hare and the Tortoise” - a story about perseverance. Target audience: Children aged 3-10. Parents welcome. Free entry. First come first served. 20–21 April, 15:00–15:25 & 16:00–16:25.